Influenster is a platform where brands interact with consumers to find out their tastes, preferences and opinions about the products they market, through surveys or reviews prepared by users. Influenster makes this connection with collecting essential information, so they send their subscribers free products of the brands associated with their campaign to test them, do a review and give our honest opinion about our experience using them. 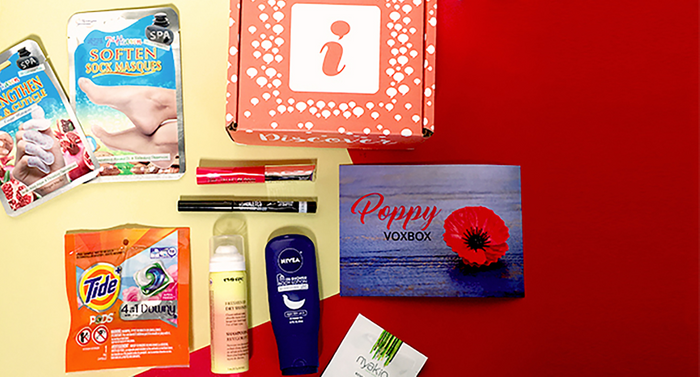 These subscription boxes are called VoxBox and contain several products, usually thematic with names referring to the promotional campaign, its content is varied, can contain makeup, candy, personal care products, discount coupons, accessories, among others. Always adapted to the personal preferences of users and taking into account their favorite brands. The VoxBox as well as their shipping is completely free in the United States and Canada, but Latin American users can use the address of an international shipping agency as their shipping address to receive the package in our countries at their own expense, as when we make a purchase through Amazon. The platform is in English and revisions must be made in English. Log in to http://www.influenster.com and register with an email address or Facebook account. Fill in all the fields with the required data and real address (the address of the courier should only be given when we are notified to receive a package). We include all the social networks, we have: Twitter, Facebook, Instagram, YouTube, Pinterest and Tumblr, the sum of followers in all these platforms generates a number which determines our social impact and the higher the chance of being selected by a campaign. The following is a survey that is quite long and requires patience and approximately forty minutes to complete, in order to be able to establish our profile within the platform. That concludes the registration. From now on we can start to score points to get closer to the next campaign. We must be very vigilant when we receive “Snaps” which are quick surveys available for a few hours, maximum one full day related to a specific campaign, the result of this survey will determine whether or not we will participate in it. To do this we can use the mobile application and not miss any Snap. If we want we can make revisions of products that we have used before to unlock badges or levels within Influenster. To make revisions we must give a small opinion of the product and weigh the quality with a score ranging from zero to five stars. If we are selected to receive a VoxBox we will be notified by email, to which we must respond indicating the shipping address or our trusted courier in the United States, Liberty Express for example and this will be responsible for getting it to your country. Once you have the VoxBox you must fill out some surveys and reviews of the products included.